For enquiries call Miss Fox’s secretary on 0161 447 6761 or email enquiries@mmsecretaries.co.uk. Welcome to the Manchester Foot & Ankle Team website. Book an appointment with Miss Fox today on 0161 447 6600. Providing integrated specialist surgical, podiatry and physiotherapy care for all your foot and ankle problems. The Manchester Foot and Ankle Team was established in 2016 by consultant surgeon Anna Fox and podiatrist Julie Bishop with an underlying philosophy that everyone regardless of age or activity level deserves the best care when it comes to diagnosing and treating your foot and ankle problem. We focus exclusively on foot and ankle conditions combining years of individual specialist experience in surgery, podiatry and physiotherapy to tailor make a treatment plan based on your individual needs. This means we can discuss a range of options with you, whether you incline towards cutting edge surgery or a more conservative non-surgical route to treat a wide range of foot and ankle conditions. From your initial consultation to aftercare you will experience our unique combined integrated approach to provide you with the best treatment, with the least inconvenience to your life. 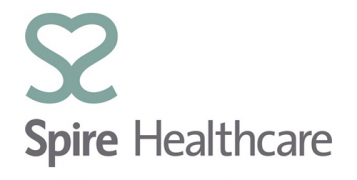 The Manchester Foot and Ankle Team is based at Spire Manchester Hospital in West Didsbury, supported by first class facilities including radiology, physiotherapy, surgery, infrared gait analysis and foot scanning. We also offer the most comprehensive range of gait analysis equipment in the region enabling us to assess atypical walking patterns, running styles, as well as pre and post treatment improvements in gait. Appointments with Miss Fox are also available at The Alexandra Hospital, Cheadle. General Data Protection regulation comes into effect on 25 May 2018. If you are currently a patient or if you chose to become a patient, please take time to read our privacy notice detailing what data we hold on you, and how we use and process that data. Dear Miss Fox, Thank you once again for the use of my leg – its wonderful. I would just like to wish you all the good luck in the world. Thank you so much for operating on me 3 months ago. I can hardly believe the difference from the former problem. I am now walking better than I have done for years, and building up stamina. This can only be good for my general health. A very grateful patient.